The classy Galway Golf Club striker added a two over 74 to opening rounds of 79 - which included a quíntuple bogey 10 at the 15th and an eagle three at the 18th - and 66 to finish on thee over par 219 and claim a clear win in what was only the third staging of the Over 35s tournament in Ulster. Ballyclare's George Armstrong (73) and Greystones' Alan Condren (74) tied for second on nine over 225 while Royal Portrush's John Finnegan was fourth on 12 over after a best of the day 72. Knock's Simon Miskelly carded a two over 73 to win the Leinster Mid-Amateur Championship by two strokes at Grange. 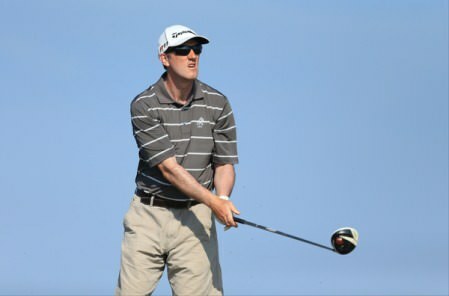 Pat Murray, pictured at Baltray (above) won the Connacht Mid-Amateur thanks to a sensational final round. 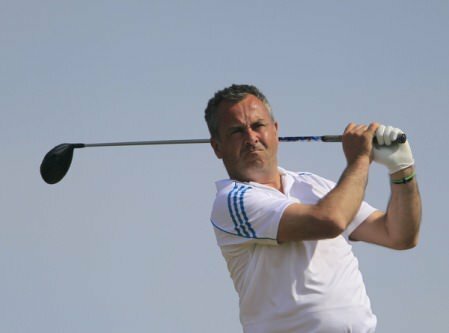 Picture: Thos Caffrey / www.golffile.ieLimerick’s Pat Murray came from six shots off the pace to win the Connacht Mid-Amateur by a shot at Roscommon.